What is the Truth About the Christmas Story Myth? Have you ever asked yourself the question: “Why do I celebrate Christmas?” The most obvious answer is “I was raised in a family which always celebrated Christmas.” If this is your answer, have you ever thought about the basis for such an answer? “The feast commemorating the birth of [Yahshua], [is] observed by the Christian church annually on December 25. The name is derived from the medieval Christes Masse, the Mass of Christ. The celebration was not observed in the first centuries of the Christian church, since the Christian usage in general was to celebrate the death of remarkable persons rather than their birth. In the 5th century the Western church ordered the feast to be celebrated on the day of the Mithraic rites of the birth of the sun and at the close of the Saturnalia, as no certain knowledge of the day of [Yahshua’s] birth existed. Among the German and Celtic tribes the winter solstice was considered an important point of the year and to commemorate the return of the sun they held their chief festival of Yule, which, like other pagan celebrations, became adapted to Christmas. From this article one can glean the truth about the origins of many of the customs directly associated with the celebration of Christmas by the world today. 245 AD in Patara, in present day Turkey. He was ordained a bishop of Myra (a Turkish town, now named Kale), and throughout his priesthood, he was known for his generosity to all in trouble and for the granting of wishes. 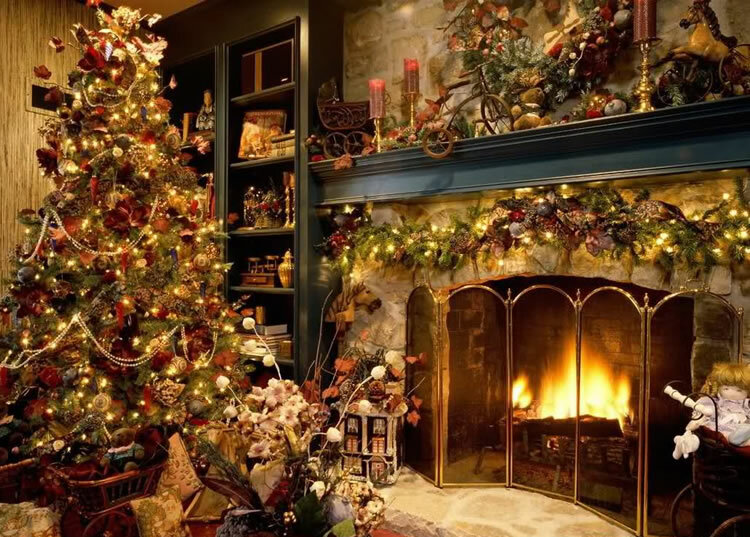 Want to know how the tradition of hanging stockings on the fireplace mantel started? The answer should not surprise you as it has been said that St. Nicholas climbed on the roof of a house and dropped a bag of gold down the chimney where it landed in a stocking hung up to dry. Want to know how the tradition came about for him to be a gift giver? Pagan, pre-Christian sources says that the Teutonic g-d of the air, Odin, would ride through the air on a gray horse named Leipnir each autumn ― so did Nicholas; and heavy with a long white beard; he rode through the air in a chariot drawn by two white goats named Cracher and Gnasher; he dressed in red; his palace was in the “northland”; he was friendly and cheerful; he would come down the chimney into his element, the fire. As his notoriety spread, many churches and cathedrals were named after him and next to the Messiah and the Virgin Mary, Nicholas was the next most popular figure in Christianity as his popularity even spread to the Laplands ― to the people with the reindeer sleds. In France, the nuns delivered candy to all the children who’d been good, leaving it for them in their shoes, and leaving switches in the shoes of the naughtier children. Because they seemed to cover so much territory, some began to say it was St. Nicholas himself who delivered the gifts. It was Dutch sailors who came to the New World and would not give up St. Nicholas as their patron; when they settled, particularly around the New York area, their nickname Santer Klause (Sinter Klaas) became the name we know as Santa Claus. In Greece, he is known as the national saint and in Russia he was a patron saint of young people and sailors. Very likely you are familiar with the formation of the Protestant religion when it broke from Catholicism. Luther wanted to remove the stigma of the traditions associated with St. Nicholas and he created a winged cherub called Krist Kindle to replace St. Nicholas. Luther intended any celebration using this cherub to be concentrated during the Winter Solstice, the time when pagan religions celebrated the return of the sun’s light. However, it really didn’t work out that way as the people in Germany thought this cherub would fly around bringing gifts to children and called its name der Weinachtsmann. Other countries in Europe had their own name for this cherub: Father Christmas in England, Pere Noel in France, Bafana in Italy, and Tompsten in Sweden. What about in the United States? John Pintard, an influential patriot and antiquarian Dutchman, founded the New York Historical Society in 1804, promoted St. Nicholas as the patron saint of both society and city. The American author Washington Irvine published, in 1809, his History of New York, which included detailed information about the Dutch version of St. Nicholas using the pseudonym Diedrich Knickerbocker. This Dutch-American Saint Nick was fully Americanized in 1823 when poet Clement Clarke Moore wrote The Night Before Christmas, which portrayed the jolly elf image of Saint Nick. In 1810, artist Alexander Anderson created the first American image of Nicholas in a gift giving role with children’s treats in stockings hanging at a fireplace. In 1863, political cartoonist Thomas Nast produced a series of annual drawings for Harper’s Weekly until 1886 showing a rotund Santa with a flowing beard, fur garments and a clay pipe. The drawings of Santa Claus’ image solidified with Norman Rockwell’s Saturday Evening Post covers and with Haddon Sundblom’s thirty-five year collection of Coca-Cola Santa advertisements. The modern Christmas tree evolved from the use of evergreen trees being placed in the homes of Germans and Scandinavians in the Middle Ages and were regarded as a symbol of life. The star placed at the top was to represent the star which guided the three wise men to the location of the young Child. Candy canes were hung on the branches where the red and white colors symbolized the blood shed by the Messiah and the sinless nature of the Messiah. German settles brought this use of an evergreen tree to the American colonies in the 17th century. In a short period of time this use also appeared in Austria, Switzerland, Poland and Holland. Christian missionaries introduced the Christmas tree into China and Japan. Holly, with its prickly leaves and red berries, was used because it reminded people of the crown of thorns worn by the Messiah on the way to His execution and the red berries symbolized droplets of blood. the fire on Christmas eve. Now, who is Nimrod? Nimrod was the grandson of Ham, the son of Noah, Gen. 10:1-8. Nimrod’s wife, Semiramis, is called the queen of the heavens under the name of Astarte (queen of the heavens ― Astarte ― Easter). “The Christmas goose was an essential article in the worship of the Babylonian messiah, as that worship was practiced both in Egypt and at Rome. In Egypt, the favorite offering to Osiris was a goose and that the goose could only be eaten in the depth of winter. “A picture of a woodcut shows that the goose in Asia Minor was the symbol of Cupid, just as it was the symbol of Seb in Egypt. In India, the goose occupied a similar position; for in that land, we read of the sacred ‘Brahmany goose,’ or goose sacred to Brahma,” The Two Babylons, p. 101. The use of the mistletoe bough is from Druidic, Norse and English traditions and superstitions. Kissing under the mistletoe is of English origin. It was derived from Babylonian Mysteries dealing with a representation of the messiah, ”the man the branch” ― Nimrod. In order to gain members, the Catholic Church adopted the rites and celebrations of pagan peoples. At the Council of Nicea in 325 A.D., they set December 25 as the date of our Savior’s birth. 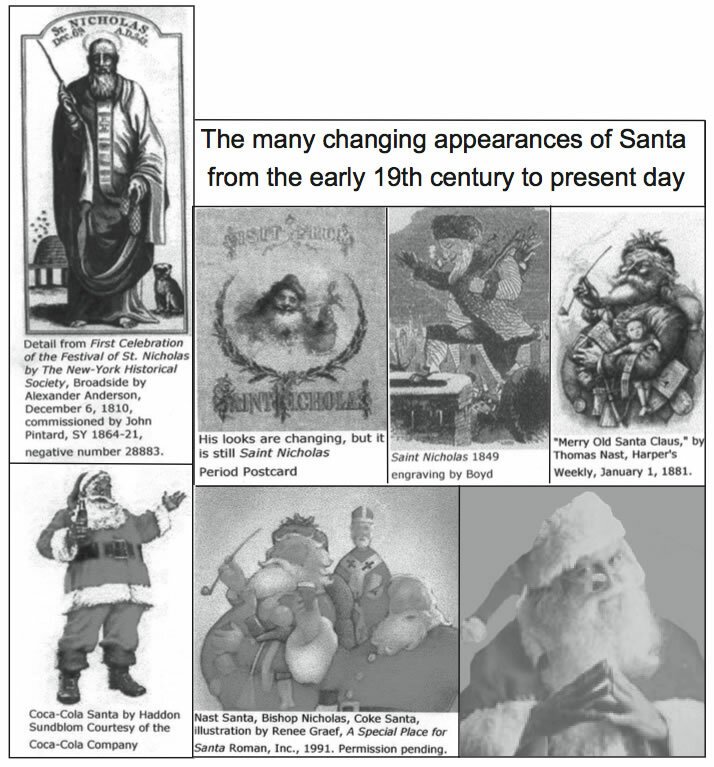 Even the national Roman Catholic monthly magazine, U. S. Catholic, has admitted that Christmas is indeed a pagan holiday that is a grotesque counterfeit. Thus saith Yahweh, Learn not the way of the heathen, and be not dismayed at the signs of heaven; for the heathen are dismayed at them. For the customs of the people are vain: for one cutteth a tree out of the forest, the work of the hands of the workman, with the axe. They deck it with silver and with gold; they fasten it with nails and with hammers that it move not. They are upright as the palm tree, but speak not: they must needs be borne, because they cannot go. Be not afraid of them; for they cannot do evil, neither also is it in them to do good, Jeremiah 10:2-5. As have been listed throughout this article, there are many customs associated with Christmas that have their origins in pagan worship. Yahweh wants us to turn our backs on such customs. By not celebrating Christmas you will find out that you will not miss (myth) Christmas.